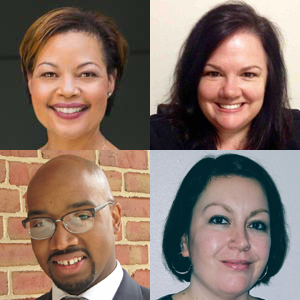 Kim Keating, Jennifer Hall, Justin Hunt and Cynthia Rodriguez | The Y in Central Md. The Y in Central Maryland has named Kim Keating chief human resources officer, Jennifer Hall as executive director of Y Before and After School Enrichment and Justin Hunt and Cynthia Rodriguez as community school directors. Keating will provide strategic leadership to attract, develop and retain the best available talent. 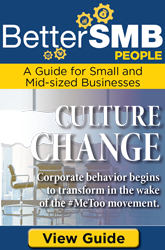 Additionally, she will lead the development and implementation of initiatives that center on talent management, leadership development, recruitment and selection, compensation strategy, associate relations, diversity and inclusion, and associate well-being. Keating comes to the Y with more than 20 years of senior-level human resources management experience. Before joining the Y, she founded the consulting firm Keating Advisors and worked as a consultant at Mercer Human Resource Consulting and Sibson & Company. Before beginning her human resources career, Keating served as a financial analyst at Morgan Stanley Investment Bank and as chief financial officer at Teach for America. Hall will be responsible for all of the Y’s Before and After School Enrichment programs throughout Central Maryland. She has 15 years of experience directly developing and managing growth strategies for more than 11 domestic and international institutions in both online and campus-based settings. Hall graduated from Towson University with a Bachelor of Arts in English and secondary education. Hunt will lead the Y’s partnerships and program operations at Fort Worthington Elementary/Middle School in Baltimore as community school director. Hunt will serve an integral role as the school transitions to a new building this fall. He graduated from the University of Pittsburgh with a Bachelor of Arts in business and resides in Baltimore. As a community school director, Rodriguez will lead the Y’s partnerships and program operations at Holabird Academy in Baltimore. She has worked for the Y for the past 10 years, most recently as a zone manager for the Y’s Baltimore County Head Start program. Rodriguez has 15 years of experience in education, youth development and family services. She graduated from Towson University with a Bachelor of Science in family studies.